In life, as in golf, approach every day as if it’s a new round. By using strategic methods to get the maximum impact or the best shot for that day, you can ensure that you are on a path of continual improvement as you move toward your ultimate goal. This enlightening new guide by Lorii Myers shows you that by living smart, practicing, planning, and removing excuses, you can’t help but succeed. 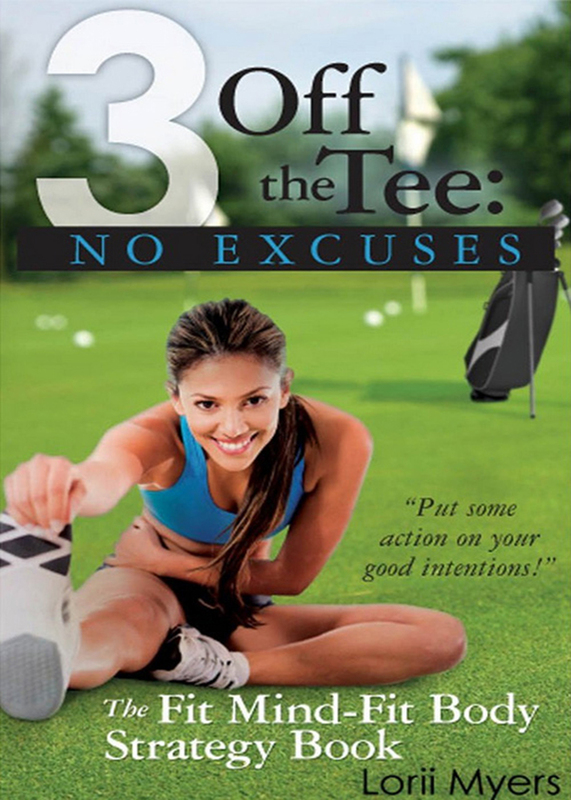 Designed to teach readers how to exercise their minds and bodies in a new way, 3 Off the Tee: No Excuses proves that to achieve great things in life, your body and mind must work in unison. By taking responsibility for the good and bad in life, planning for improvement, and taking the hazards out of play, you can reinvent your world if you desire, and this motivational guide shows you just how to do it. An empowered employee turned entrepreneur, Lorii Myers has more than three decades of business experience that encompasses a wide variety of careers, challenges including senior manager, controller, business owner, and award-winning author. With the belief that the right attitude is everything, she carefully details the mental and physical makeover strategies that will lead you toward the mind-body achievement connection, and ultimately to success. Myers is the author of 3 Off the Tee: Targeting Success, the first volume in the 3 Off the Tee series, and 3 Off the Tee: Make it Happen. She currently resides north of Toronto, Ontario, Canada. You can purchase the book online from Amazon or Smashwords in multiple eBook formats at http://www.amazon.com/No-Excuses-Mind-Fit-Body-Strategy-ebook/dp/B00E9ANRCU.